Dr.Lakshmipriya Kasirajan is a pulmonary, critical care and sleep medicine specialist. She is certified by American board of internal medicine in her specialities. She has obtained her training in Baylor college of medicine, Houston, Texas in the United States. Later she practiced and held the position of assistant professor at the University of Texas Health Sciences centre at Houston (UTHSC-Houston). There she has mentored and guided medical students and doctors in her field. Dr.Lakshmipriya is world renowned in her field and has published extensively. Her special interests are sleep disorders in congestive heart failure patients. She is well experienced with non- invasive ventilators and their uses for patients with sleep related breathing disorder. Bipap, CPAP, Auto-titration Bipap/ CPAP, Servo ventilation have been extensively used for treatment of sleep apnea. Her expertise in the field has extended to management of patients with sleep disorders in the intensive care unit. She has studied ICU psychosis also known as delirium and designed a model to prevent its occurrence. She quotes “The incidence of obstructive sleep apnea is 4% of males, 3% of females ( the same incidence as diabetes mellitus in the common population) The disorder is characterized by excessive snoring, witnessed apnea (cessation of breathing) in sleep. The sleep heart health study has shown strong association between sleep disordered breathing and hypertension, heart failure, stroke and coronary heart diseases”. Vadamalayan Hospital sleep center comprises a full fledged sleep laboratory in addition to our sub-specialist outpatient clinic which acts as the referral point for patients with sleep disorders. We provide technical excellence in polysomnography, medical expertise in interpretation of sleep studies and outstanding clinical care for those with sleep disorders in our sleep center. Shift work disorder and jetlag sleep disorder. 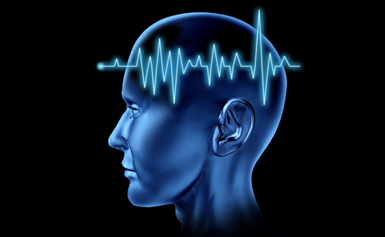 WE OFFER A WIDE SPECTRUM OF SERVICES FOR THE DIAGNOSIS AND TREATMENT OF SLEEP DISORDERS. Positive air way pressure titration.